Research-based education is what we’re about. The educational programs in all of TIEE’s schools derive from solid research concerning what works in classrooms. The main categories of these methods are identified under the present website heading and are given a brief description. Our Mission statement’s list of teaching fundamentals is not intended to be exhaustive. 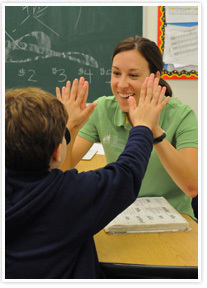 There are other, well-established practices that are used in TIEE’s schools. We also investigate promising practices, such as video modeling, to determine whether they are effective and efficient and in which areas of the curriculum and with which group of students.